At Publix, the value of being involved as responsible citizens in our communities is one we all have in common. Our founder, George Jenkins helped us understand the importance of giving back. 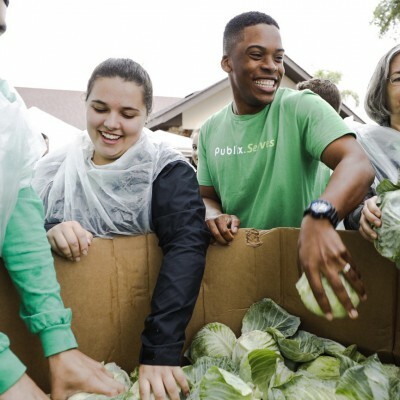 When asked how much he thought he would be worth if he hadn’t given so much away, he humbly answered, “probably nothing.” To this day, we’re committed to finding opportunities to help our communities grow and thrive by engaging the hearts and minds of our associates and customers ― hence Publix Serves Day was born! Publix Serves Day is an annual company tradition that began in 2015. As a company, we wanted to foster the passion for giving back that comes naturally to our associates. We set out to dedicate a day in which we bring together our time and talents to help locally in ways that align with our passion for improving our communities with a focus on youth, education and the plight of the hungry and homeless. 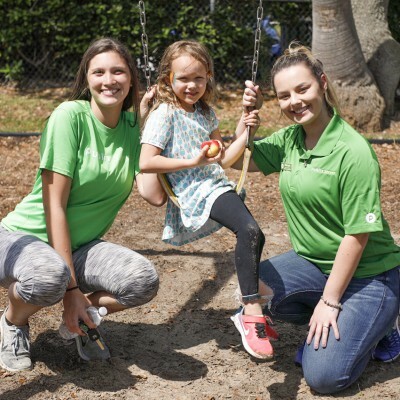 Thousands of Publix associates volunteered to serve our communities on this special day, working with organizations in each community that needed our help and aligned with our pillars. We teamed up with more than 135 different organizations in the southeast. Whether they needed help adding a fresh coat of paint, cleaning up a landscape or stocking shelves in a food pantry, our associates spent the day working to meet the needs of these incredible nonprofit organization. This year, Publix Serves Day was held on Tuesday, April 2. We invite you to stay tuned to our Facebook, Twitter and Instagram or follow #PublixServes to see pictures of the amazing efforts of our associates! Are you a part of an organization that has received the help of Publix associates? We would love to hear from you! Share your experience below.